Hi there! I hope you all had a wonderful Christmas! My name is Liz and I am the blogger behind Lizzie Jane Baby. 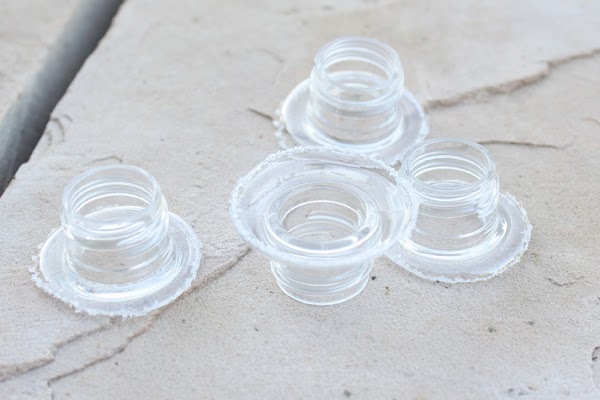 I’m excited to be a new contributor here at My Crafty Spot. 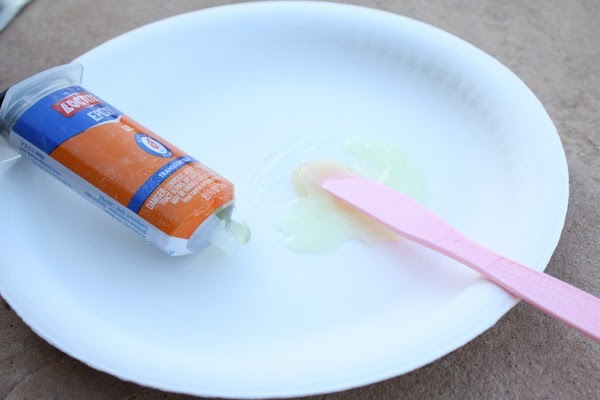 I love easy, simple projects that don’t cost a lot of money. 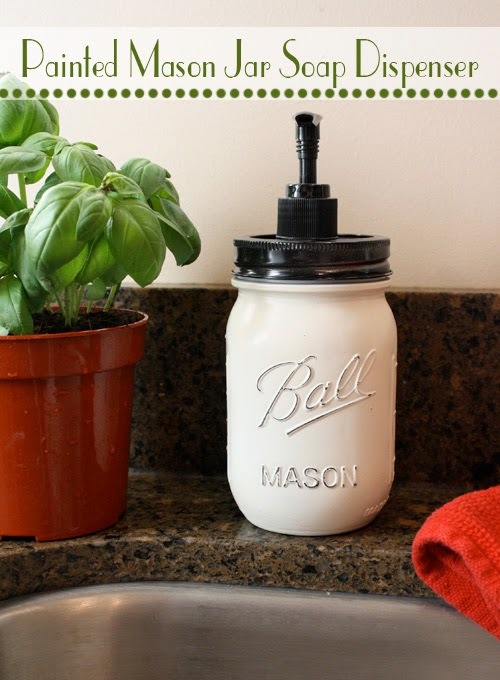 This painted mason jar soap dispenser is easy, simple and doesn’t cost a lot to put together, all of the things I love. Plus is looks great in your kitchen! First cut the tops off of the plastic soap dispensers. Not pictured, using a drill or other tools, cut a circle out of the mason jar lid just big enough for the neck of the soap dispenser to go through. See pictures below to understand this step. 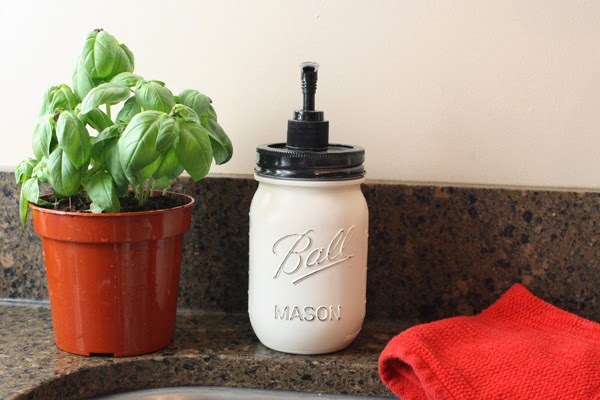 Paint the lids and rings of the mason jar black (if desired). Next, epoxy the top of the plastic soap dispenser to the mason jar lid. This epoxy had two sides that needed to be mixed together and then applied. 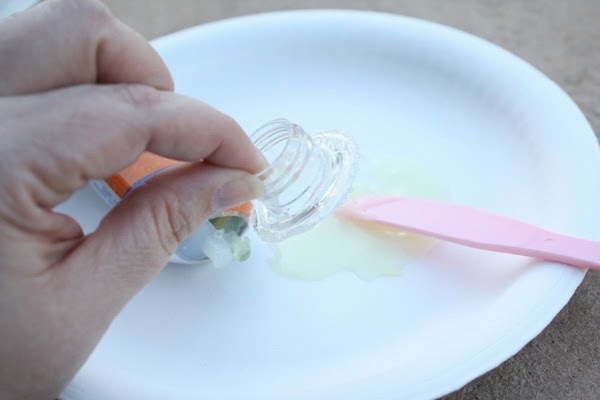 Using a plastic knife, put epoxy around the bottom edge of the cut off bottle. Then stick it through the hole that was cut out of the mason jar lid. It should be a snug fit with the epoxied edge up against the bottom side of the lid. Cover the very top of the jar, where the lid screws on, with masking tape, to make it easier to put on the top later. 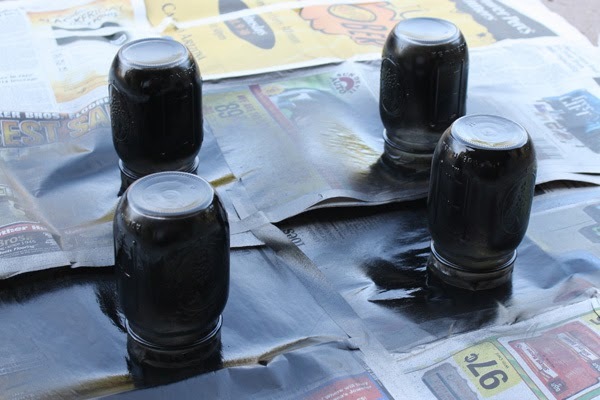 Turn the jar upside down and spray a light coat of black paint onto the mason jars. This will make it so when the jar is sanded, it remains dark and not see through. 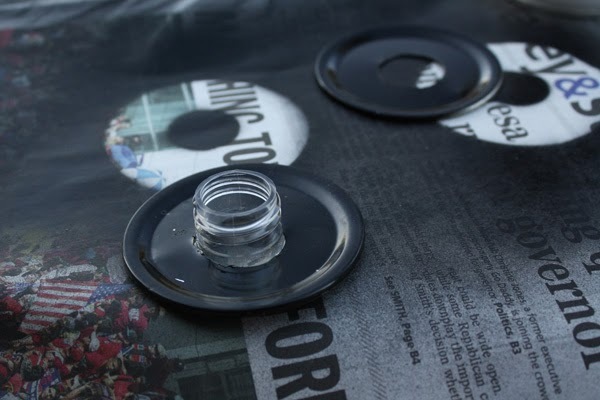 Once the black spray paint is dry, spray the white spray paint on. Make sure and get good coverage on the top of the jar. 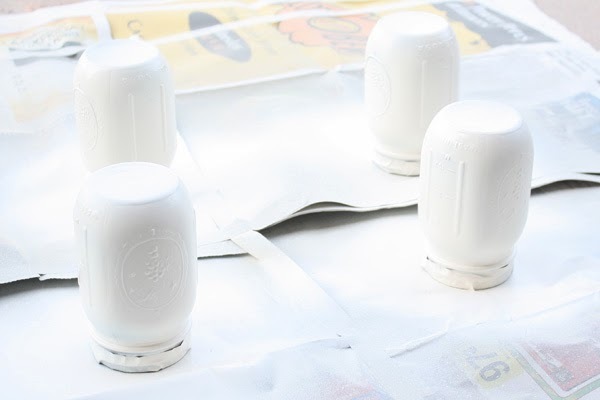 Use 2 coats of the finish color spray paint, making sure let it dry in between coats. 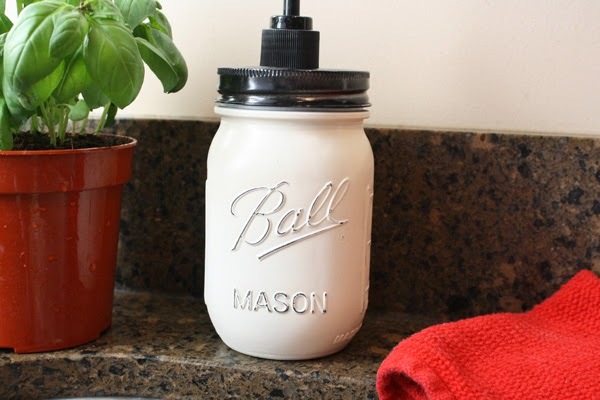 Use a little sand paper to sand off some of the paint, especially around the wording on the jar, to make it stand out and it give it a little worn look. Screw in the pump to the top and fill it with soap. Or it could be filled with hand sanitizer. Now it is ready for dispensing! Come stop on by and see me over at Lizzie Jane Baby. Liz is a career woman and college grad turned stay at home mom. She is a wife and momma to 3 busy kids. She loves crafting with her kids, whipping up deliciousness in the kitchen, and creating on the computer. She shares all of those things and more at Lizzie Jane Baby. Erin Kennedy is the owner and editor of My Crafty Spot and loves to find the latest crafting creations to create and share. So cute! Just love them and your tutorial! I’ll absolutely be sharing on my Mason Jar Crafts Love blog too (just one pic of the finished jar and clear link back to your tutorial). Thanks so much for the amazing inspiration! Thanks so much Linda! I appreciate the share and the pin!